West Bengal is one of the main rice producing states in the eastern part of the nation. But that is not the only crop that is cultivated in these parts. Though some parts of the state receive adequate rainfall for cultivation, there are others, which often come under the influence of drought. This hampers agricultural practices and farmers have to incur losses. But the state government is all set to implement a micro-irrigation scheme that will conserve water resources, but will also help farmers in growing crops. 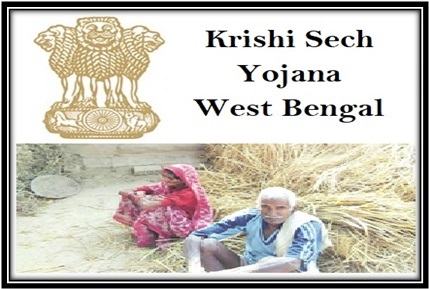 The name of this scheme is Bangla Krishi Sech Yojana. Agricultural development – The main aim of this project is to help poor farmers increase their crop cultivation with free irrigation facilities. Installing micro irrigation facilities – Under this scheme, West Bangla government will install micro-irrigation facilities for farmers. This will meet the water requirements, but will come in handy to prevent water wastage. Irrigation procedures specified – The authority has identified two specific irrigation techniques. One is sprinkle irrigation and the other is drip irrigation. Both these methods will assist in conservation of water. The cost of installing drip irrigation mechanism is Rs. 70,000, while each sprinkle irrigation machines installation will cost Rs. 20,000. Crops identified – Apart from food crop cultivation, this irrigation scheme will ensure proper water supply to the farms for growing vegetables and fruits. Implementation areas – This scheme will mainly be implemented in those areas where rainfall is scanty. Purulia, Bankura and Jangalmahal districts are on the top of the list. Free machine installation – The state government is aware of the fact that it is impossible for poor farmers to arrange such huge sums to install the machines. Thus, it has been decided that all machines will be offered and installed for free. Not much has been said about the eligibility criterion and necessary certificates. But it is clear that the scheme will offer the benefits to small and marginal farmers, who are legal residents of West Bengal. The government will soon come out with the other eligibility related details. How to attain application form and registration process? The state authority has only made the official announcement of this unique scheme. It is not clear about when this project will be launched officially. Once the West Bengal government makes any announcements regarding this scheme, you will get it first on our website. Schemes like these serve several purposes. On one hand, it will offer a better foundation for the agricultural sector to flourish. It will also assist farmers to get the upper hand on water shortage issues.